The new year always brings on this feeling of starting fresh, some sort of do-over meant to right the wrongs of the year before, a renewed enthusiasm to tick off boxes left empty and take another swing of the bat on failed attempts or resolutions left behind. It's natural to feel this way, I suppose, but it's also highly pressurizing, as if you shouldn't waste this opportunity and the clock i sticking on this being a "new" year and you better get on your list of resolutions. Meanwhile, the sun rises and sets just like the year before. The world, and life, goes on. It's fine to want to better yourself and start anew but I don't want that feeling, that motivation to come only once a year. I want it to be there every day. Maybe then I won't feel as if the clock is ticking and there's an expiration date (January 31st) on this idea that you can do better. Maybe then I won't feel catapulted into the new year. Because lately I've felt as if I failed myself by not taking the time at the end of the year to reflect and decide what I need to do and change in the new year. The fact is, there is no expiration date on that. You can reflect, choose to do better, reset and/or reach for your goals, finally get to things left on the back burner, each and every day. That is not an activity reserved for January 1st. My hair dresser introduced me to Davines hair care products and I fell in love with not only the products but also their branding and most importantly their business and practices. Davines is a product and a brand that is family-owned and guided by the principle of sustainable beauty. They've built their business with a conscious mission to sustainability and protect the environment. Their products contribute to the protection of biodiversity by using select ingredients from crops that are at risk of extinction and their packaging uses minimum amount of food grade plastic that is needed to protect the product but can also be reused. Their ingredients are sourced from local farms in Italy supporting local economies and artisanal traditions. Every product tells you about the family farm where the ingredients are sourced from. In addition to all of this they contribute to other sustainable efforts from organizations that value and take care of the earth. We are becoming scared of boredom, scared of solitude, scared of conversations with ourself. The Light Phone was created by Co-Founders Joe Hillier and Kaiwei Tang. It is a device that helps you put away your smartphone and bring your attention back to the world around you. It is a supplement that is designed to give you access to your phone, as a phone, only when you absolutely need it but allows you to otherwise leave your phone at home. It is a tool to help us consciously decide to leave our smartphone and disconnect, allowing us to take back the time we lose by always being connected to a screen. We just couldn't believe any of it anymore, these products didn't respect the user or their time. Being more connected couldn't actually be what we needed to become happier. I love the principles behind this product. We're all guilty of not paying attention to anything or anyone else but our phones, and if you stop to think about it, it's a really disturbing reality. How can we encourage people to take a moment away, to disconnect and be in the world and be with themselves. If we're always distracting ourselves how are we ever to face ourselves and understand ourselves and those around us? 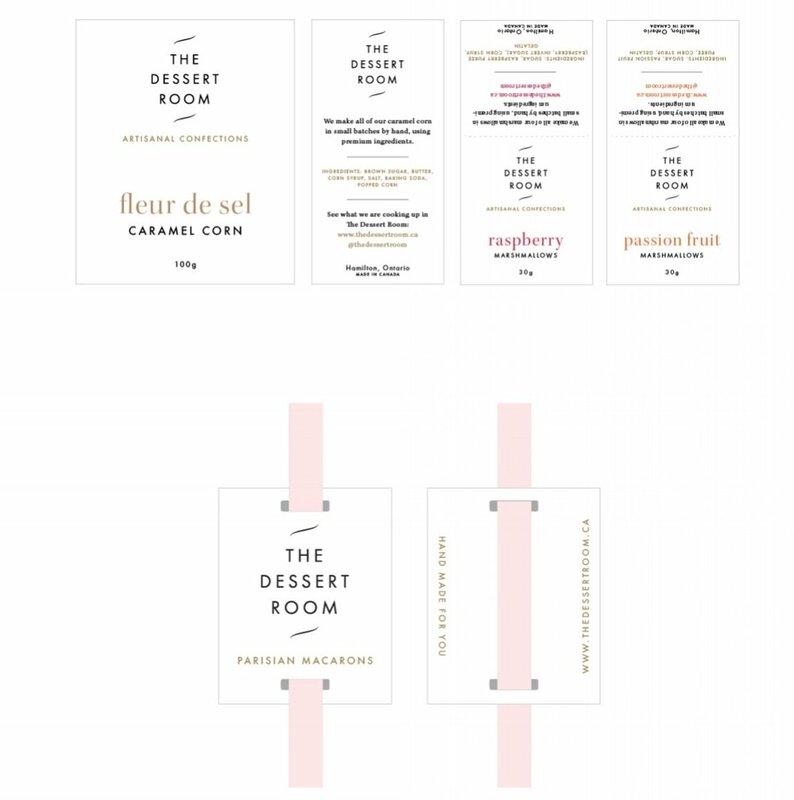 For most of 2015, I worked with talented pastry chef and owner of The Dessert Room, Marcia Fattouh, on a rebrand. This has been one of those projects that is a perfect fit. With even bigger plans for 2016, The Dessert Room is sure to grow and continue to create elegant and beautiful dessert creations. 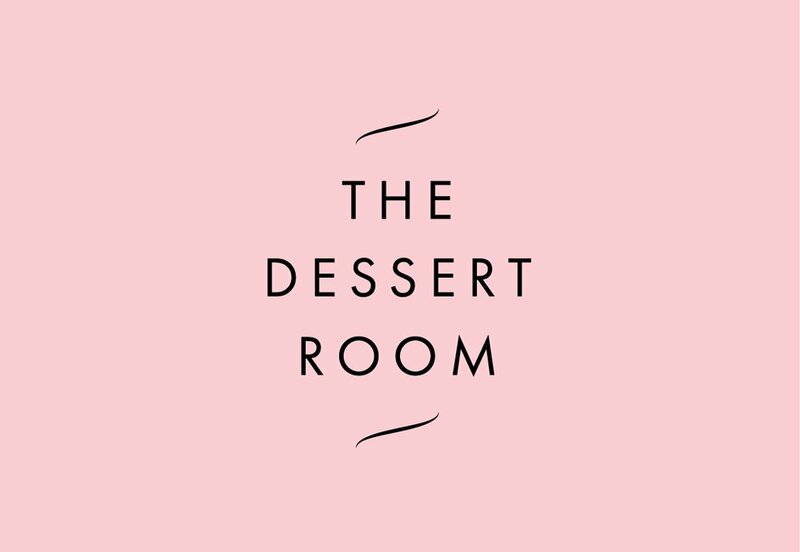 The previous The Dessert Room logo helped to get the business started. In the last year, however, Marcia began to forge a clearer vision of where she wanted to take the business and the logo was no longer reflective of the product they produced. It was also limiting from a branding perspective as it posed some spacing and sizing issues when applied to different media. So we began by going back to the drawing board with a branding questionnaire and discovery session. The questionnaire allowed Marcia to think about her brand holistically, starting with her products and the things she values in her work and business. It was through this process that she revealed her modern aesthetic combined with her focus on detail and classic techniques. 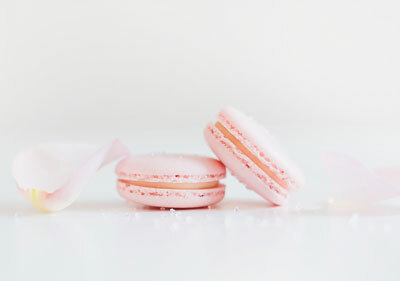 Having trained as a French pastry chef, high quality ingredients and techniques are crucial to her work. This is what The Dessert Room is all about. Now to make sure that was communicated through the branding. To start visualizing the brand, I distilled some the ideas that came out of our discovery sessions into a visual moodboard. This is a wonderful way to get the ideas and visuals flowing and helps clients begin to understand how their thoughts, ideas and values can be reflected visually. Next we approached the logo design allowing for the rest of the identity to flow from it. Often during the sketching phase I uncover concepts and ideas that help to inform the rest of the brand identity. To start, numerous sketches were produced, and with Marcia being new to the branding and design process, we reviewed these raw sketches. This is not always something I do with clients. It can be easy to focus on the sketches or any particular sketch and then the project ends before it even begins. But this can be really valuable in helping a client get more involved and comfortable with the process. The sketches uncovered some ideas that we narrowed down to a few directions for the brand. One was a clear standout for it's classic simplicity and strong concept. Very little changed from the original concept to the final logo. Reflecting the modern simplicity mixed with classically developed cakes and confections that The Dessert Room produces, the logo was designed with a simple modern typeface stacked and sandwiched between two curved lines that is an ode to the classic and traditional technique of piping. From there, a color palette was chosen. We looked to color books and ideas on how to use color as it relates to food, ensuring it appealed both to the eyes and to our innate taste and smell sensors. A soft, sweet and warm color palette was chosen with blush and gold being primary colors, supported by white, soft grey and black. Logos need to work in black, but this particular inclusion adds a modern touch that is less traditionally romantic but is classic and timeless. Within the wedding industry, much like fashion, tastes change and grow with time. So it's important to allow the brand to grow with it and color is an excellent way to do that. A blush and gold combination may work one season, in another black and gold or black and blush appeals to styles better. 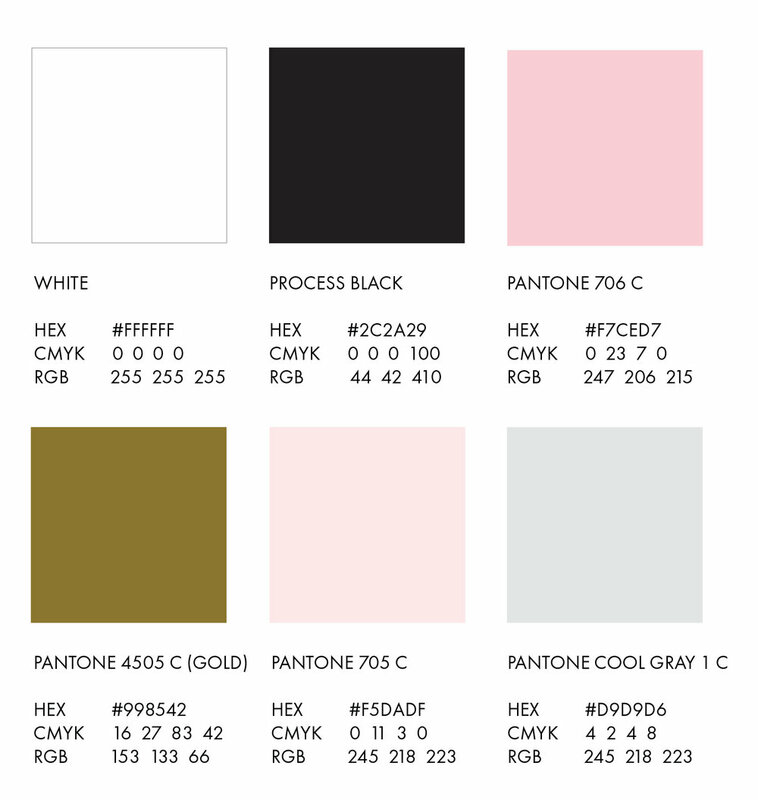 Using color in this way but ensuring their classic timelessness helps to create a brand that can grow and last. 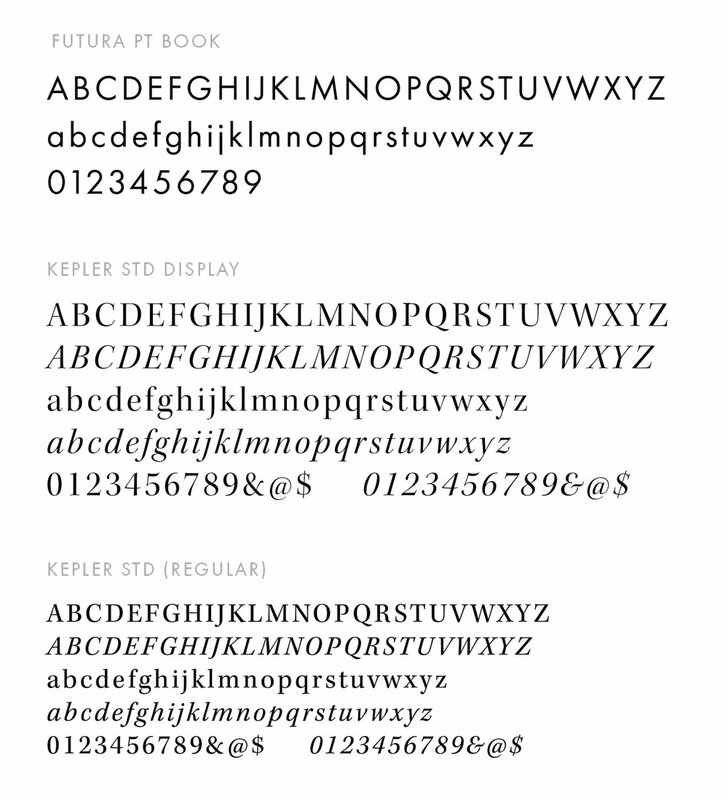 Selecting typefaces for the brand was a natural extension of the logo and color palette. Using the same Futura typeface in the logo paired with Kepler, a contrasting serif, completed an identity that marries the modern with classic timelessness. The identity was carried through to the packaging, the website and social media feeds with the support of strong photography. Good product photography makes all the difference! I worked with Marcia to direct and plan the product shots we needed. 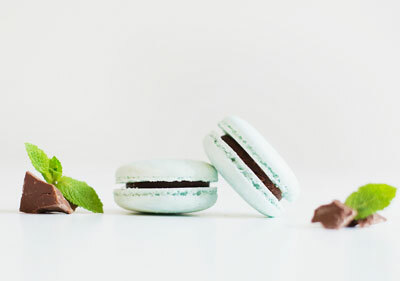 We worked together with photographer Christine W to style the shoot, making sure all of the products can be beautifully displayed on the website and showcases the delicate and delectable products that comes out of The Dessert Room. Whenever a large company or brand launches a redesign it's inevitable that the Internet peanut gallery chimes in with their critiques and opinions. I get that designers are passionate about design. I am one of those designers. But to critique a design from afar without understanding the constraints, objectives and goals of the project is counter to what design is all about and is downright unnecessary. It's easy to sit back and criticize a company, or more specifically a company's design team, for a design when you don't know the constraints in which they worked. Even in the best case scenarios where the design team is given creative freedom and all the resources they need to inform their work, their job is to design for the needs of the organization, which they know better as in-house designers than the public. Design critique involves understanding the entirety of the problem first, and then questioning whether the solution solves that problem in the best possible way. I'm not saying there's no room for design critique on the Internet, I'm saying it needs to be more than a knee-jerk reaction and should involve more than 140 characters.